Pain is subjective, meaning that it feels different for each person. What’s painful for one person may seem like nothing more than a scratch to others. However, based on what we’ve seen, these locations have been commonly reported as the most painful and least painful areas to be tattooed. Getting a tattoo on the inner portion of your wrist is one of the most painful areas to be tattooed. Where the flex point is, to be exact. Other areas that have been deem as the most painful include the neck and throat, the stomach, back of the knees and the ribs. Though the ribs shouldn’t be too much of a surprise, since it’s commonly been referred to as the most painful location, the stomach might surprise many people. Areas on your body with the least nerve endings, that are also far from any bones, will be the least painful places to get a tattoo. These places include the outer shoulder, the calves, buttocks and outer arm. However, you’re pain tolerance and body will ultimately determine which areas are the least painful for yourself. 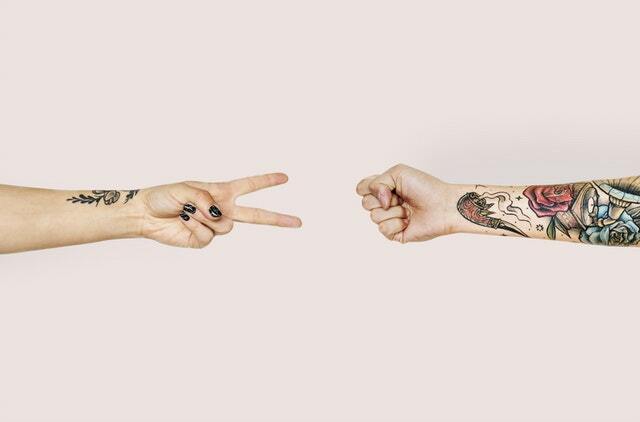 While tattoos have become commonplace nowadays, there are still certain areas on the body that can get a distinct reaction out of people. Many may come to mind, but the one we’re referring to, which also happens to be the most dangerous tattoo location, it the eyeball. Not many people would even consider getting an eyeball tattoo, and for good reason. This poses a huge risk, not only of obtaining an eye infection but of losing your vision altogether. Infections usually occur due to bad bacteria getting into places it shouldn’t, in areas that interact with them the most. Many people don’t realize that that area is the feet. Yes, your feet are exposed to far more germs, especially in your home. Walking around barefoot through pet dander can result in painful infections. Walking around outdoors wearing open-toe shoes will also leave you exposed to daily pollution. Your hands are also in the same boat when it comes to bacterial exposure. At Arcane Body Arts, we specialize in creating custom tattoo pieces as well as high-quality body jewellery for all of our clients. Located in Vancouver, British Columbia, we’re a completely vegan tattoo and body and ear piercing shop. Our goal is to provide clients with a professional, clean and comfortable experience while also doing our part for the environment. 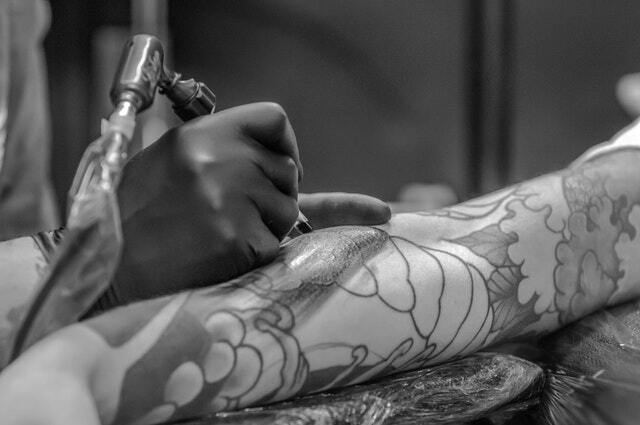 Our services include piercing, tattooing as well as cosmetic tattooing, so give us a call or go online to book an appointment with some of our best tattoo artists in Vancouver. Tattoos are forever. Most people make sure that their tattoos signify something more than just a random design. Often, people pour their beliefs, personalities, pet peeves or almost anything that makes their tattoos more meaningful and significant. However, a tattoo is also a trend, a fashion, many times you also choose a design purely on the basis of liking some design that you saw at your local tattoo shop in Vancouver. Minimalistic tattoos are now in trend and are usually sported by people who want a subtle tattoo that makes a statement. 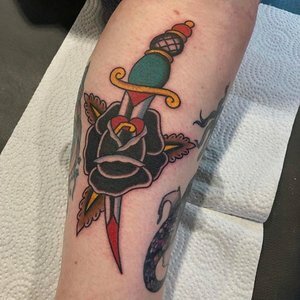 Our team of tattoo artists from Arcane Body Arts, Vancouver, describe some of the most popular tattoos that are favourites among introverts. One of the favourites among introvert designs is a quote, especially ones that are shorter and meaningful. Usually, they are from a novel, religious literature or something that is in popular culture. Carpe diem or Timshel are some of the most common ones. Usually, music lovers sport this kind of minimalistic tattoo where notes of a specific song are etched in the form of a tattoo. Small music notes are also a popular choice as a behind the ear or wrist tattoo where people want to go slightly subtle. Getting permanently tattooed armbands is also quite a popular trend. Usually, introverts go for a more thinner styled band. People also opt for two to three bands to make a statement. Armbands are both fashionable and symbolic. Not only do a series of three or five dots look cute, but they also appear more natural. They may also symbolize some elements of life but are quite subtle. Usually, people sport them on their fingers or wrist as a subtle statement. Etching a wave tattoo is simplistic, stylish and meaningful. If could very well symbolize the ups and downs of life, continuity or your connection with water. Irrespective of the belief, our tattoo artists agree that it looks rather cute on visible spots like the wrist, ankle, behind an ear or the nape of the neck. If you are someone who feels a strong connection with earthy elements, alchemy symbols are a perfect choice for you. Not only do they look stylish, but are quite meaningful too. Make sure that you use the symbols together, or else their meaning is lost. Egyptian hieroglyphs were the formal style of writing used by ancient Egyptians. They are a beautiful and artistic combination of logographic, syllabic and alphabetic elements and have more than 1,000 characters. They are also used as a popular tattoo design. Want to show your patriotism to your country, what better way than getting a silhouette of your country on your wrist? Rather than tattooing the name or initials of your loved one, why not tattoo their birth date? This looks even more stylish if you use Roman numerals. Obviously, the most common choice for most introvert tattoo designs is a name subtly tattooed on the wrist. Parents usually get their kid’s name, a pet name, date of birth or initials on their body to celebrate the bond. This trend is also common among pet lovers who get their pet cat’s silhouette or if they have a dog, its paw marks as a tattoo on their body. If you are considering getting a tattoo or have questions and concerns about tattooing or other fashions such as ear piercing, speak to our team of creative and experienced artists at Arcane Body Arts. Get a free consultation and all your questions answered before you get yourself an appointment with us. Aftercare advice can vary from place to place or even between different artists in the same studio. Regardless, listen to the artist that did your tattoo. Most will give you a small sheet of paper with instructions. If you happen to lose this paper or do not have it handy, keep reading on. If there was specific instructions your artist had specific to you because of the size or location of your tattoo, get in touch with them. After the first five hours you got your tattoo, it should be okay to remove the dressing and clean the tattoo gently with warm water and mild antibacterial soap. Be sure to lather the soap in your hands first before putting a small amount on your fresh tattoo - do not rub a bar of soap directly on it. Once you wash your new tattoo, you will need to put moisturizer on it to prevent your skin from drying and cracking. You do not need to spend money on specially made tattoo creams and ointments - just make sure you choose unscented lotion to prevent irritation. You can also ask your artist for recommendations. Depending on their advice, you will either need to recover it with gauze or leave it exposed. Generally, you will need to do this process twice a day - once in the morning and again in the evening for about a week. Avoid soaking the part of your body that was tattooed in water for at least a month. Showers that are less than 15 minutes with lukewarm water are okay, but you should not take baths or swim in a pool or hot tub. Wear loose-fitting clothing around the area so that fabric does not chafe against it. Try to limit your tattoo's exposure to direct sunlight. The sun tends to fade tattoos, especially coloured ones, so you will want to shade it while it is still healing. That is why it is better to get inked after summer so that it is easier to keep your tattoo out of the harmful rays of the sun. Even when it is finished healing, you should keep it covered when you are in the sun and always use sunscreen with a high SPF to preserve it. Healing times can vary depending on the size and location of your tattoo. Be consistent with the aftercare instruction you were given to make sure it heals properly. This is easier said than done, but it is advice you will want to follow strictly. After about a week or so of getting your tattoo, you may start to notice it get flaky or scab. Avoid picking at it or risk removing some of the ink in the area and leaving your design patchy. The feeling should only last for about another week or so. If it does not subside after a week or gets worse, seek medical advice. Infected tattoos are not common but it can happen and should be checked out immediately. If after about six weeks you start to notice parts of your tattoo have faded or the ink has flaked off, contact your artist for a touch-up. You may need to do this as years go by depending on how much sun exposure your tattoo gets. If you have any questions about your new tattoo or want an old one to look like new again, book an appointment with Arcane Body Arts. Our trained and experienced artists can make your idea a reality.